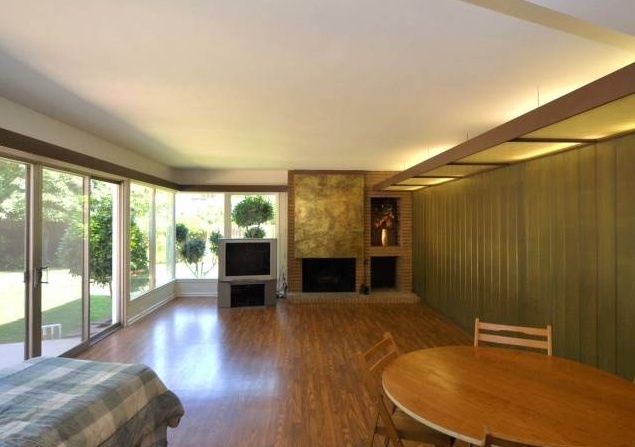 Built in 1957, this mid-century Silver Lake home boasts 4 bedrooms and 3 bathrooms on a flat lot over 8,000 sf. If you are looking for a large family home a short walk from both Silver Lake Reservoir and Ivanhoe Elementary School, this could be your golden opportunity. This 3200 sf home was designed by Gilbert Lester Leong, a pioneering Chinese American architect who designed residential and commercial buildings throughout Los Angeles. Leong co-designed the interior court and authentic Chinese garden in the Pacific Asian Museum in Pasadena. 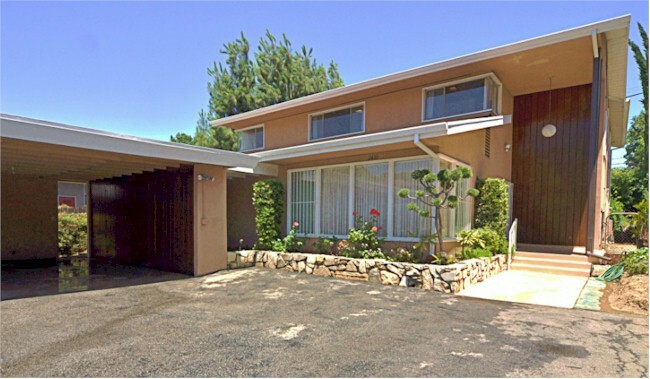 The family who originally commission Leong to design this home in 1957 still owes the property! That’s pretty rare for a home in Los Angeles. 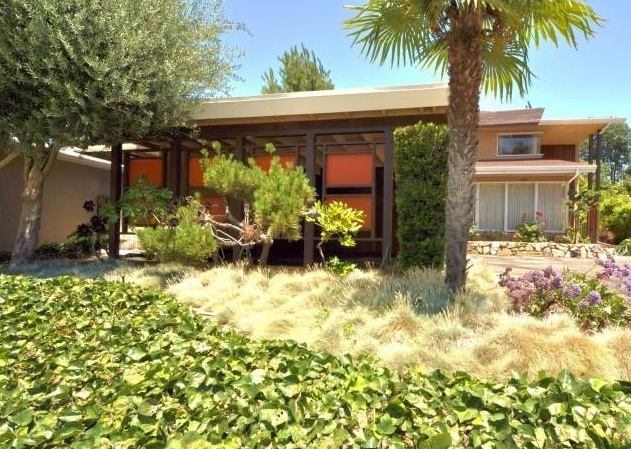 My imagination really soared when I saw the potential in this mid-century home just around the corner from the Silver Lake meadow. The living room and dining room are quite spacious but my favorite room is at the back of the house on the ground level, complete with fireplace and opening up to a flat, grassy yard. The bathrooms each retain their original period tiles and the kitchen will make you feel like you’ve taken a step back in time. 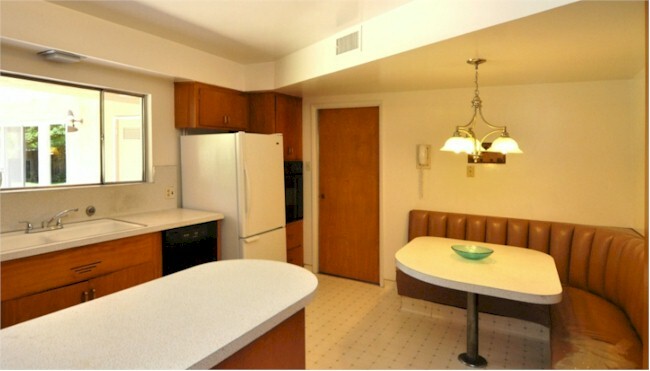 There is actually a second ½ kitchen which helped the family prepare for those big holiday parties and barbeques. Leave it as is or combine the space into one large kitchen and open it to the fantastic backyard for an even better flow. The home is currently listed with Liz Johnson of Teles Properties for $1,380,000, a bit of a stretch for the property’s current condition in my opinion. Additional photos and floor plan for 2410 W Silver Lake Dr. are available here. This mid-century Silver Lake home has a ton of potential and will make a great family home for someone with the vision to turn it into something truly specially. 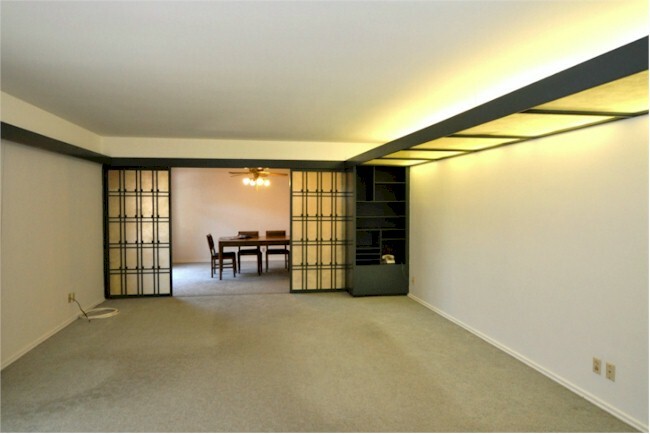 Give me a call at 213-215-4758 if you’d like to check it out. 2410 W Silver Lake Dr.